“Our hearts are with the citizens of France and the tales of Notre Dame, true and fictional, in prayer that they will endure forever,” said Israeli President Reuven Rivlin. Fire at the Notre Dame Cathedral in Paris, April 15, 2019. Credit: Wikimedia Commons. 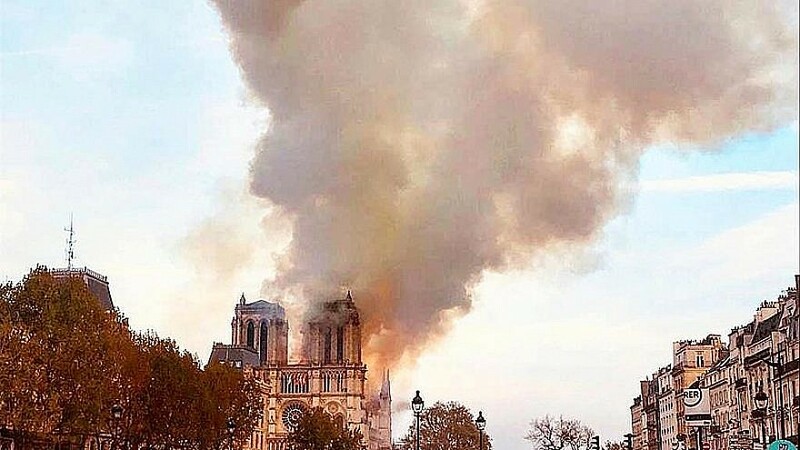 (April 16, 2019 / JNS) As the burning of the historic Notre Dame Cathedral in Paris sent shock waves around the world on Monday, Israeli and French Jewish leaders expressed their sorrow and condolences for the loss to French national culture the tragedy represents.